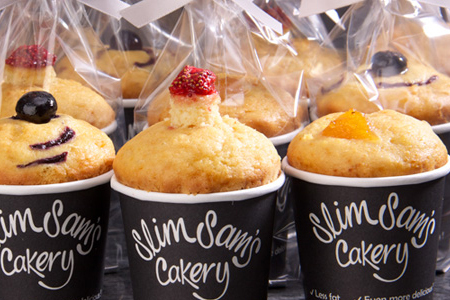 Zingy lemon, juicy berry and strawberry jam cakes that have less fat, fewer calories and are truly delicious! Our assorted box contains three of our favourite cakes. They are the perfect guilt-free treat to share with the girls over coffee, to give to your children as a healthier school snack or to spoil yourself with at the end of a long, hard day. You can even pop one in your handbag for a lunchtime treat at the office. Each box contains 9 (3 of each variety) gorgeous individually packaged cakes, finished with a silver ribbon, to reach you in perfect condition.